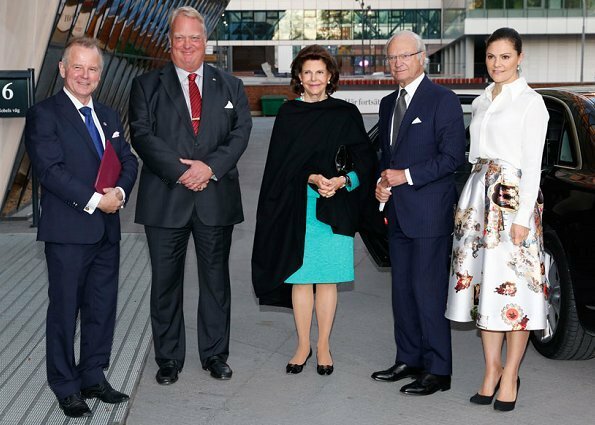 On October 16, 2017, King Carl XVI Gustaf, Queen Silvia and Crown Princess Victoria of Sweden attended the Stefan Persson's anniversary symposium at the Karolinska Institute in Solna, Sweden. Stefan Persson is a Swedish business magnate. 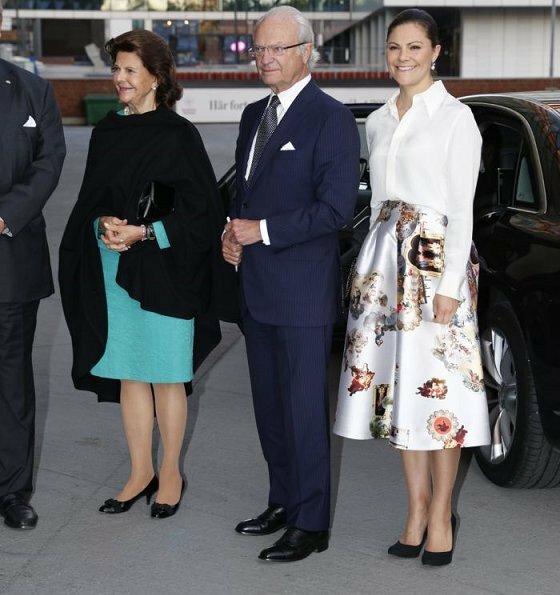 Persson is the chairman and main shareholder in fashion company H&M (Hennes & Mauritz), which was founded by his father Erling Persson. 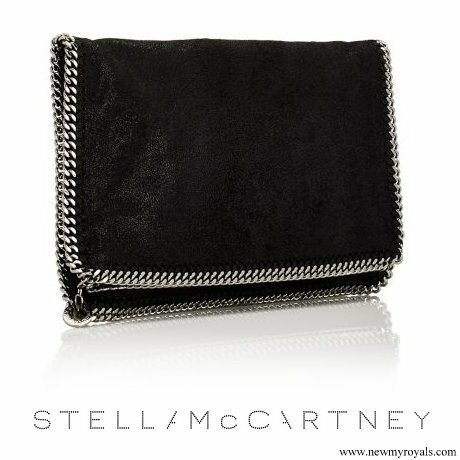 Silvia and Victoria look both very good. Love Silvia´s dress color. I really like the cut of Victoria's pumps. Don't like the back of that skirt. Too much material back there. But I like the print. I think it would be better if she had a feminine white blouse. Perhaps something with lace or maybe fancy sleeves or a neck bow. The plain white shirt doesn't add anything to the outfit. Je trouve qu'il manque quelque chose à la tenue de Victoria. Une belle ceinture peut-être? Lately Victoria hasn't quite got it right with her outfits. I can't say I especially dislike either her skirt or blouse here, but it's something in the way her clothes are put together that seems to miss the target. It's not elegant and it just does not work for me. Her smile is the only thing that saves her. We know she can do better so find yourself again Victoria! The back of the skirt is ugly. Too much material - badly designed. I agree her clothes lately do not seem well thought out. They are either too masculine or swing over to prints and gathers.Not a cohesive style.